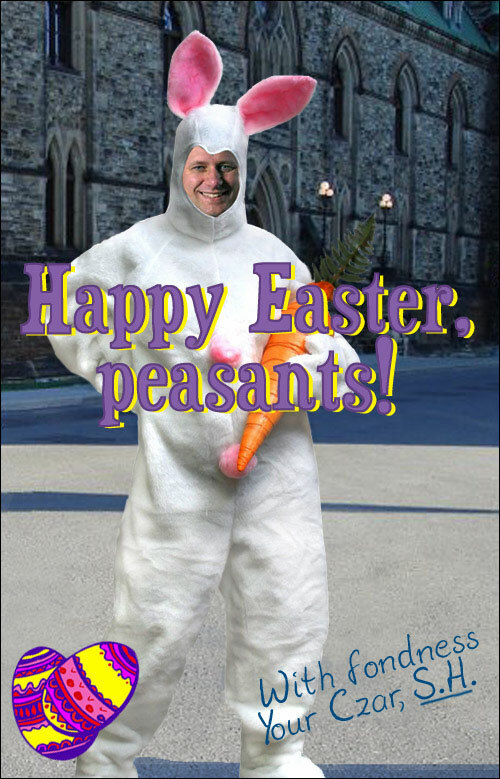 I believe Easter cards from the Prime Minister's Office went out late this year so I thought I'd scan mine in for those who might not have received theirs in time. I'm guessing this is an attempt to soften Harper's image. I'm not so sure it works but it's nice to see him putting in an effort, I suppose.